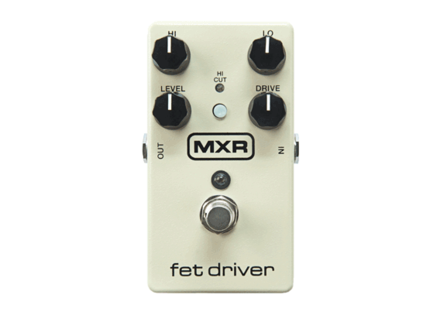 M264 FET Driver, Overdrive pedal from MXR. 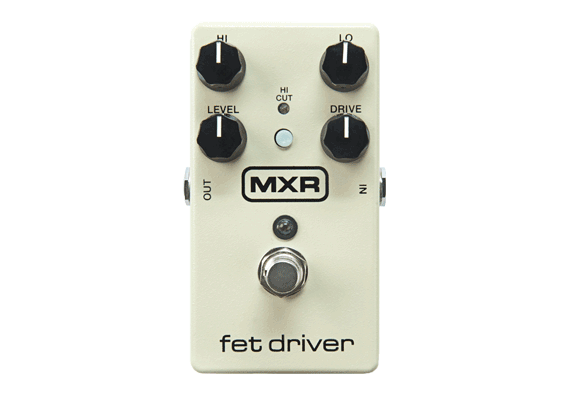 Dunlop has unveiled a new MXR FET Driver pedal for the NAMM show 2014. The MXR FET Driver captures the sound of an overdriven tube amplifier by cascading an op-amp gain stage into a FET stage. The true bypass pedal features Output and Drive controls, plus a two-band EQ section with Hi and Lo knobs to boost/cut hi or low frequencies accordingly, and a Hi Cut switch to roll off the high end if needed. Pricing and availability haven't been disclosed yet, but we expect that to happen anytime now. [NAMM] MXR Custom Shop Phase 99 Dunlop takes the legendary MXR Phase 90 to the next step with the brand-new MXR Phase 99. [NAMM] New Dunlop Echoplex guitar preamp Alongside the Echoplex, Dunlop has unveiled several new products for 2014, which it will showcase at the NAMM starting today. [NAMM][VIDEO] GJ2 Triple M Mick Murphy Signature Mike Levine, who has joined the AF team, met Mick Murphy himself for an exclusive presentation of his GJ2 guitar at NAMM.